This gorgeous knitted scarf was made on our Rainbow Loom! 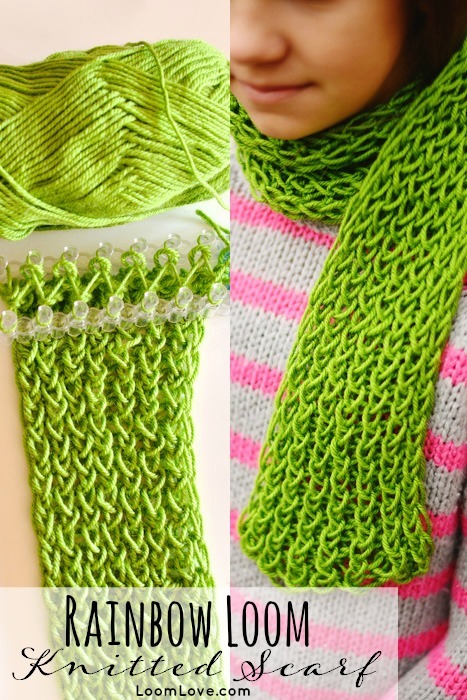 We used soft acrylic yarn in a lovely shade of green. We love how it turned out! 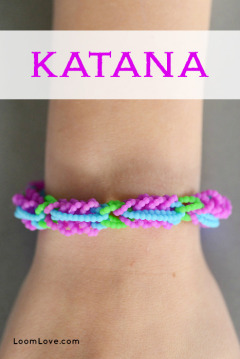 Honestly, this is one of our favourite Rainbow Loom projects! Although it is time consuming (1-2 hours depending on how fast you are at knitting), we didn’t find the project difficult. We loved making this scarf so much, we are already taking orders for Christmas presents! We used Craft Life’s tutorial, which we thought was very easy to follow! 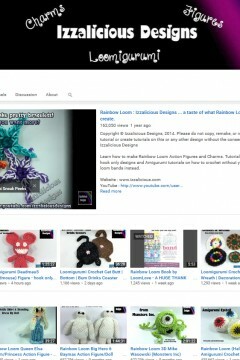 I think this is the best craft tutorial you have posted so far! Knitting a scarf for me takes about 1 TRILLION, BILLION, MILLION YEARS! Thanks! You mean quadrillion? Quintillion? Octillion? I ???????????????????????????? this! It is epic! I made one myself but it took ages! ?? I often get ? with knitting but I didn’t with this. ? Wow! This is so cool! Y’all are awesome! I LOVE this new design!!!!!!!!!!!! This is the best craft idea EVER!!!!!!!!!!!!!!! Sweet…I have never had the patience to knit anything this big on needles. Hopefully this will speed up the process. I really like this tutorial! 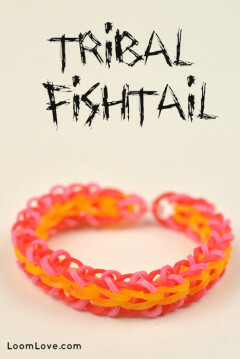 I will make one soon! Really well done on the tutorial. I never thought knitting a scarf would be so easy and fun! This is so awesome! I might make it I’ll have to see if my mom has any spare yarn. She probably does (she’s been knitting like crazy!). Wow! That is so cool, I’ve never really been a huge fan of knitting but at some point I should have a go at knitting. Love it! making one RIGHT NOW-and i love how it is turning out! Good one, LoomLove! Ohhhh my gosh this is too cool! Omg I love love love it! I absolutely NEED to make this. Omg I love it sooo much! Is it supposed to be so loose? Because mine’s VERY loose! but now i realize I didn’t use such thick yarn. So that’s probably the problem! Y’all should post her knitted pumpkin tutorial! It’s awesome!!!!!! SO trying!! Thank you Maddie and Emily! Oh my goodness!! That is sooooooooooooooooooooo awesome!! 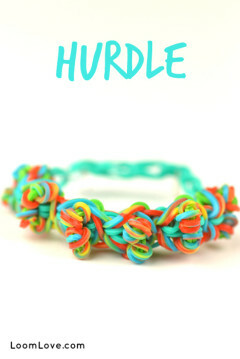 I am so gonna make this for a Christmas present! 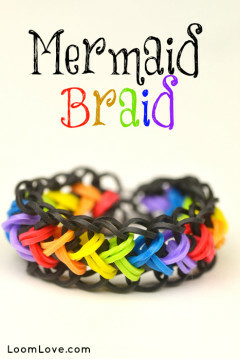 She must of had the loom for a long time cuz today it is called the Rainbow Loom and it used to be called Twistz Bandz! Wow this looks awesome !! soooo good!!!!!!! loving the wool and the scarf-WELL DONE LOOMLOVE!AND WELL DONE CRAFT LIFE! Wow! this is so so so pretty! I was making one for myself and i made it about maybe 2 inches long and it looked really awkward and loose; and then i realized my yarn is quite thin:( i opened the whole thing… Anyways, yours looks really nice, how thick yarn did you use? it’d be great if you could let me know the brand too! Our yarn is a #4 thickness. We bought it at Michael’s. 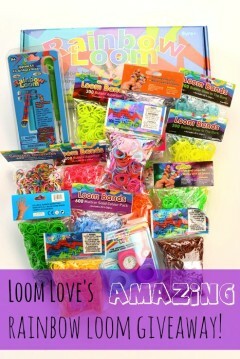 Loom Love, did you use two balls of yarn? Or one? I was just curious…please answer! Hi Loom Love, I was wondering how many pins you used for your scarf. Thanks! I love y’alls yarn! I used some white baby blanket yarn but ran out so it is a coat scarf! Thanks Glimmer! We are being homeschooled now. Just started!! This is really cool,I’ll definitely make one.Maybe you could do some crochet tutorials also? i used 1084 magneta by stylecraft. I loove the color you chose LoomLove!! Thats my fav color!! Oh my god!!!!!!!! You guys are so so awesome! I am making some of these for Christmas presents. Everyone in my school so so loves the ideas I get from your lovely website! My best friend and I also have a shop where we sell crafts! I really think you guys should try quilling! You rule Emily ! You look so pretty in that scarf! 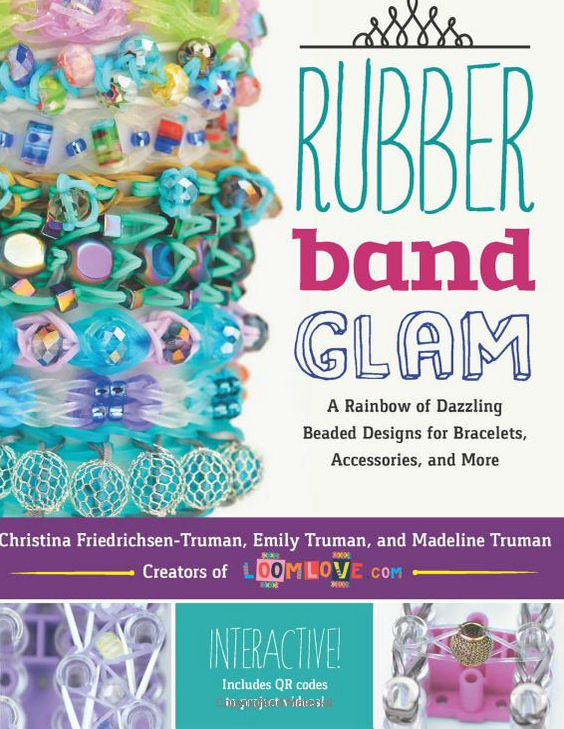 Has anybody made a tutorial on how to make a hat on the rainbow loom yet? 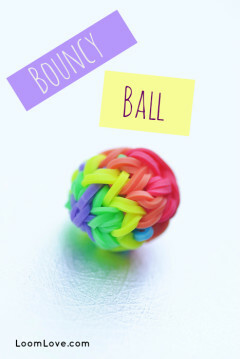 This would be cool to try with rubber bands.Although, it would be really, really, hard. 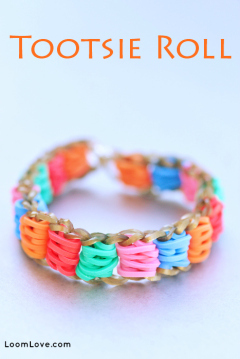 ummmm….. loom love what if you have a thin whool? please answer back!! This is awesome! 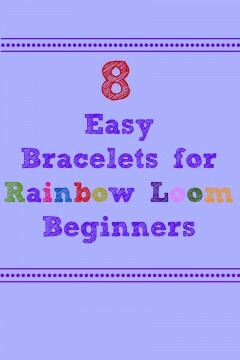 LoomLove, you should really do a tutorial on finger knitting. I have made 5+ infinity scarves using that technique. Awesome tutorial! WOW! I’m going to have to get my mom to get me some yarn, so I can make this adorable scarf!! 🙂 LOL!! Do you have to know how to knit to make this??? No, Craft Life shows you how to do it. How long did this take for you guys to knit? I’ve only knit like 6 inches and 20 minutes have already passed. Other than that, this tutorial is absolute plain old AMAZING! This scarf is awesome! 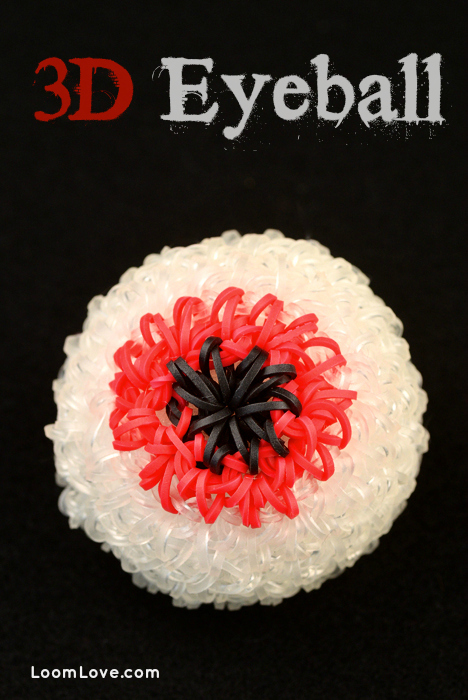 I did one with sparkly red yarn and it looks cool! I cannot knit with needles but this is EASY!!! Keep up the good work! I’ve made 2 and working on a 3rd! They are so easy, and I’m going to sell them for $5.00 apiece!I’ll tell ya’ll when I’ve sold some! I love this technique! I made one for myself with tassels and now I’m HOOKED. Now I’ve made four more as xmas prezzies for friends and family. That’s really cool! Though I haven’t used my loom in a month! 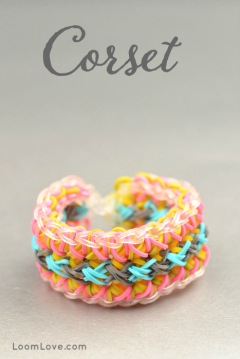 Also loom love, I have made some really cool off-the hook loom bracelets too! I am making one with brown wool…Taking Forever But I LOVE The Idea !! The Time Is Worth It ! I made this scarf from looser yarn in turquoise and pulled it every once in a while! Then I made a thicker one and connected the ends for an infinity scarf for my mom for Christmas! I am really looking forward to making this for the 2015 winter. I made it this with grey colours and it turned out grey! 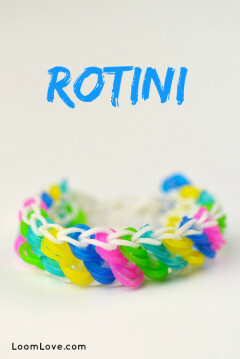 Thanks loom love for this amazing tutorial! I think you should also try the knitted beannie hat from crafts life! This is so awesome! Before this I had to knit it the harder way but now I can just do it on my loom. Thanks alot guys ???? That really is a lovely shade of green???? This is soooooooooooooo awesome! I like the pattern and design but my scarf is way too loose, maybe somehow i didn’t use right yarn….. I am making the fingerless gloves at the min but I will make the scarf once I have finished how long did it take you loomlove? Just watching tv and saw this….. This is a must make for me! Also, I have No idea how anybody could come up with a way to do this! Keep posting bros!!! Hey LoomLove I knitted this project today and I did it a BIT differently and guess what? It looks like your adorable baby hat! It looked so cute. I put the hat on my WWF ted and I finished it off with pink loom bands to tighten it. Very adorable and cool. Thnxx? Thankyou for your tutorial show,I love so much. What do I do if the loom breaks while i’m doing it? This is an amazing thing, I tried it and it was so incredible. Just out of interest, do u guys know how to knit using needles? It would be great if u guys made a video on that as knitting with awesome nice traditional needles is just as important as knitting with a modern loom! Awesome! Takes like a few hours but cool. This really impressed my friends (they actually thought I knitted this). I really recommend this project it’s so cool and easy to make. For your info you should make this in your spare time.